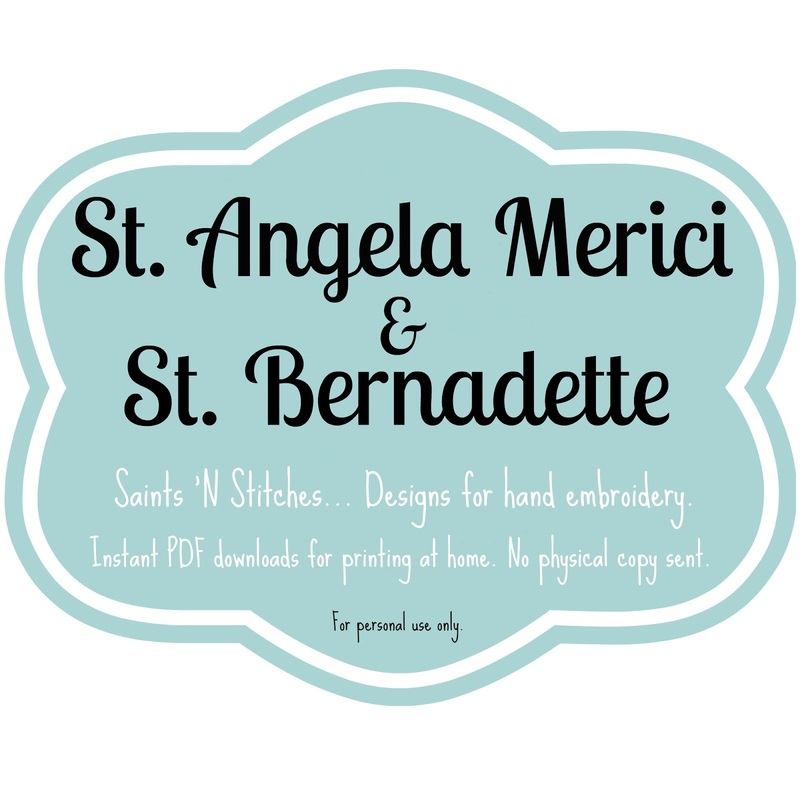 Waltzing Matilda: In The Shop :: PRINTABLES!!! In The Shop :: PRINTABLES!!! I have been asked many times if I would consider selling my Saints 'N Stitches designs so that the crafty moms who know how to transfer patterns to fabric and like to embroider in their own style might have the chance to work on them without purchasing a kit. My only delay in doing this was the cringeworthy thought of scanning the current working copies of my designs. They are not pretty, people! I finally made myself sit down and draw up new copies, pristine and clean, along with a little written tutorial on different transfer techniques. These are now available on Etsy! With each download, you get three files. One letter-sized copy of the design (two saints per download) right sided, one in a reverse print and a document that details transfer techniques, a simple color guide and pictures of a finished version to use as a reference while making your own. 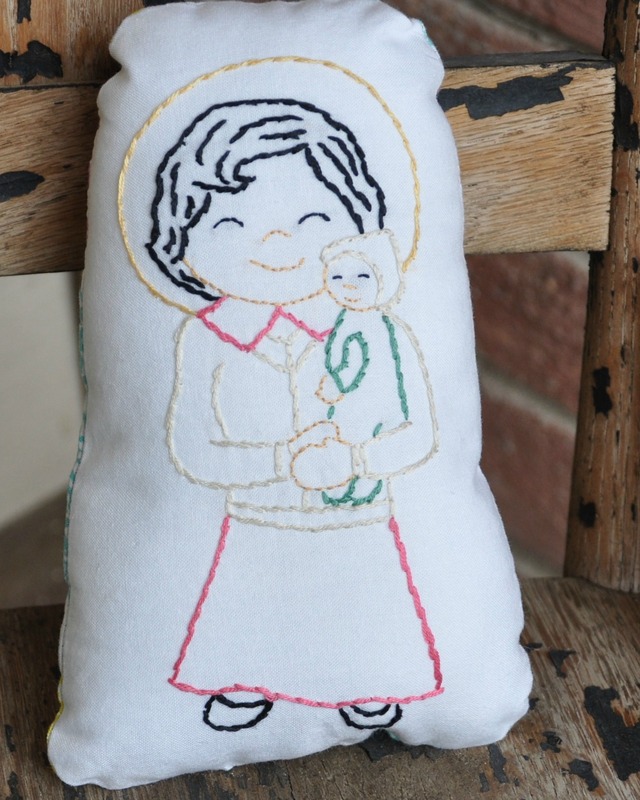 There are 7 available right now, all female saints including a new design... St. Gianna. I plan to add some boys next week. 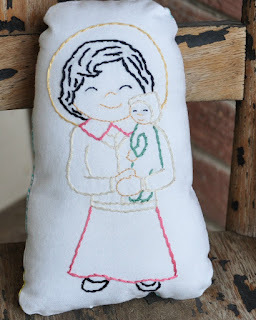 Speaking of St. Gianna... you can order her as a kit or purchase this completed doll. I also have two St. Teresa of Avila dolls for sale as completed dolls. Hopefully, I will have more listed soon. Feel free to convo me if you have a special request. 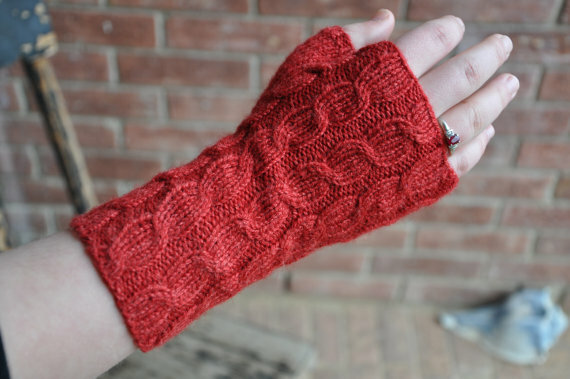 And for those of you lucky enough to live where there are true fall temperatures, if your hands are starting to get chilly on you, check out Sunshine's fingerless gloves for sale. They are such a beautiful color. If I didn't have large hands and wrists, I'd make her give them to me!